Thank you for seeking information about a career opportunity with Morris Animal Inn. 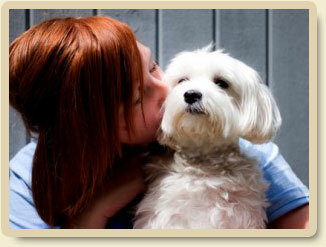 We employ individuals who share the same love for pets and their owners as we do. We are proud to offer positions with full or part time hours, competitive salaries, and potential for cross training. To truly love coming to work each day knowing that the entire staff’s priorities are with the best interest of our guests is no less than amazing. I work with some of the most intelligent and compassionate staff, and some of the sweetest animals on the planet everyday. I could not be happier with my decision to work at Morris Animal Inn and only hope that I can continue to be a part of such a positive company. I am proud to know that in working at Morris Animal Inn, I am part of a company that is revolutionizing the pet care industry and in the process of setting extremely high standards for the rest of the industry. Group Play Counselor Dogs just want to have fun! Manage carefully-matched groups of dogs while ensuring their safety and well-being. This exciting position requires good customer service skills and knowledge of or ability to master canine body language and group dog dynamics. An outdoor-lover’s dream! Pet Trainer Morris Animal Inn is committed to enhancing the relationship between pet parents and their dogs. Our team of trainers use positive reward-based training to help each dog be the best that they can be! Candidates must enjoy the bond with dogs as well as their pet parents. If you have experience training dogs and would like to take it to the next level, this may be the position for you. Pet Care Specialist Fulfill your dream to work with animals! A vital part of our luxury pet resort is caring for the dogs and cats lodging with us. Pet health, happiness, and well being are of the utmost importance in this position. Responsibilities include cleaning, feeding, and close monitoring of pet guests as well as interacting with clients. Activities Counselor Animal Lovers! Be the lucky one providing quality interactive activity sessions for our canine and feline guests! Trail walks, belly rubs, splish-splash pool sessions, and treadmills are just a few of our canine offerings. Our kitty guests enjoy cuddle sessions, iPad and tablet games, art projects and more! This position is perfect for the active nature lover who enjoys being outdoors all year round! Career-minded individuals may gain experience toward animal careers in this entry level position. Canine Stylist Beautify pets! Morris Animal Inn’s stylists create the best look for each dog based on the coat and the client’s wishes. All breed experience is required as well as a creative eye for designer breeds. Entry level positions are available for grooming school graduates. Bather/Brusher A well-groomed dog starts with a nice relaxing bath. Our team of bather/brushers prepare each dog for their beautification process with a thorough cleansing as preparation for their haircut. The process is finished with a fluff dry and good brush-out. No experience is required in this position but a natural comfort around animals is a must. For those with a pet styling career in mind, this is the place to start! Client Care Specialist Our clients deserve the finest in customer service! These employees help build and maintain positive relationships with pet owners while tending to their needs, questions, and requests. This Inside Sales position involves obtaining new client information, guiding clients through our services, taking reservation requests, and providing facility tours. This position requires great phone, computer, sales, and communication skills. Guest Services Must love animals and the public! The Morris Animal Inn experience begins as soon as guests step into our amazing lobby. In this front desk position, employees are required to interact directly with clients and their pets. Some of the responsibilities include greeting our clients in a warm and friendly manner, checking in and out pet guests, answering phones, booking reservations, promoting our unique services, basic computer skills, and a professional phone manner. Past customer service or sales experience is preferred but a love for animals is a must! Marketing Services Tell the world about Morris Animal Inn! Join our team of marketing professionals to positively promote our unique pet resort and all that we have to offer. Previous experience with events, social media, photography and basic graphic design is helpful as is a natural comfort speaking to people.